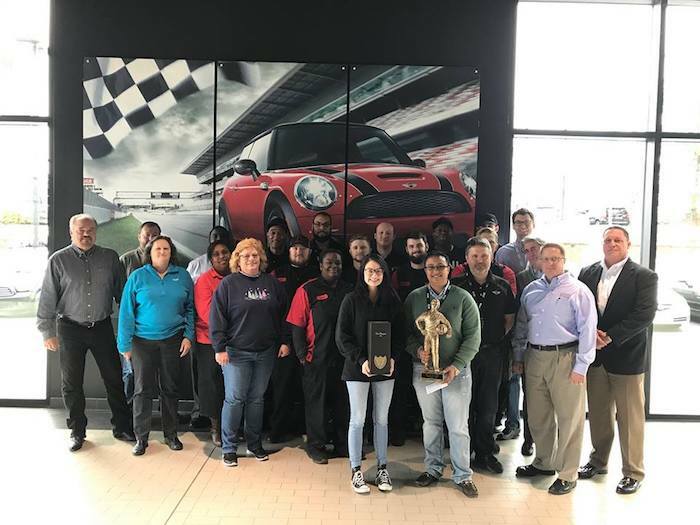 MINI of Kennesaw is one of the region's best dealerships, thrilling and inspiring the MINIacs in the Kennesaw communities throughout Georgia. Our team enjoys training programs, a passionate culture, and unlimited opportunities for advancement, which are company-wide focuses to help our people grow both personally and professionally. We are committed to helping you find a fulfilling position within our MINI family because we know that happy employees lead to even happier customers! If you'd like to join us in the pursuit of spreading MINI spirit, please take a look at our open positions on the Careers page and apply today! We look forward to hearing from you.